Phenomenal Facilities - Open Year 'round! Lititz recCenter employs up to 100 lifeguards a year to staff up to five pools - our indoor lap pool and splash pool, Lititz Springs outdoor pool, and Manheim Borough and Upper Leacock Township (Leola)community outdoor pools. <p style="padding-left: 30px;"><strong>Lifeguard certification courses are available year-round and can lead to immediate hiring for flexible part-time, possible year-round, lifeguarding positions.</strong></p> Swimming is a life-long activity and lifeguarding is a life-long job! Active older adults are encouraged to attend training and join our team as lifeguards and swimming lesson instructors. <hr /> <h4>American Red Cross <span style="color: #ff0000;">Lifeguard Certification</span></h4> Course includes FirstAid and CPR/AED training. Course will be completed at Lititz recCenter. <a href="https://operations.daxko.com/Online/3045/Programs/search.mvc/programs?category_ids=3191"><img class="alignnone size-full wp-image-1032" src="http://lititzrec.com/wp-content/uploads/Captureregisternowbutton.png" alt="" width="223" height="38" /></a> <h4>American Red Cross <span style="color: #ff0000;">Lifeguard - *Re-certification</span></h4> *For certifications that within 30 days of expiration date. Course includes re-certification in FirstAid and CPR/AED training. 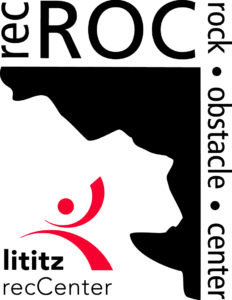 Course will be completed at Lititz recCenter. <a href="http://lititzrec.com/about-us/employment/"><img class="alignleft" draggable="false" src="https://tse4.mm.bing.net/th?id=OIP.ReFYtckJlP4VNO-VT2BvHQHaHa&w=176&h=175&c=7&o=5&pid=1.7" alt="" width="158" height="157" /></a> <h3>We are hiring lifeguards!</h3> Earn your certification in Lifeguarding and jump on the deck at Lititz recCenter! <hr /> <span style="color: #ff0000;"><strong><span style="color: #ff0000;"><a style="color: #ff0000;" href="https://operations.daxko.com/programs/redirector.aspx?cid=3045&tagid=3191" target="_blank" rel="noopener noreferrer">American Red Cross First Aid/CPR</a></span> <span style="color: #333333;">and</span> Babysitting Classes</strong> </span>are also offered at Lititz recCenter. SUMMER CAMPS! SAVE$8 with spring sign-ups - available now. Did you know… ? 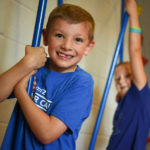 Lititz recCenter has over 300 employees each summer! We are hiring lifeguards, building monitors, customer service staff and others… check out our current openings and check back for updates to find your local summer job. Lititz recCenter will turn 75 years old in 2019! Local entrepreneur Ralph Spacht donated a downtown warehouse to serve as the first Lititz Recreation Center in 1944. Welcome Corey Pickel, new recROC Coordinator! Corey brings his expertise in Personal Training to recROC to build a true performance training atmosphere on the boulder, the obstacle course, or in customized workouts in and around recROC. Ask Corey about growing up in Lititz…he’s ready to move!